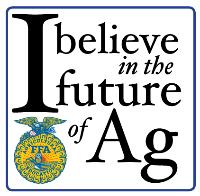 (LINCOLN) – Nebraska FFA chapters broke the record from 2017-18 by nearly $70,000 by receiving over $412,000 from local donors through the 2018-19 I Believe in the Future of Ag fundraising campaign. This campaign serves as an outlet for local FFA chapters to receive donations for innovative projects in their classrooms, leadership programming, community service projects and field trips to advance agriculture education in their schools. 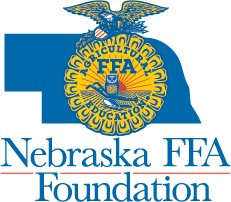 Chapters receive 100% of all funds directed to them and a portion of a $35,000 matching grant provided by the Nebraska FFA Foundation. This year, 123 of the 189 Nebraska FFA chapters participated in the campaign. The average total donation per chapter was over $3,000 from local donors. Chapters are rewarding for receiving at least $500 in donations and participating in the sponsor engagement contest. Those top chapters receiving recognition this year are the following: McCool Junction FFA, Ravenna FFA, Elgin FFA, O’Neill FFA, Heartland FFA, Johnson County Central FFA, Verdigre FFA, Litchfield FFA, Riverside FFA, Lakeview FFA and Oakland-Craig FFA.